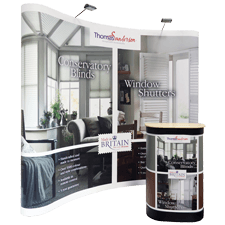 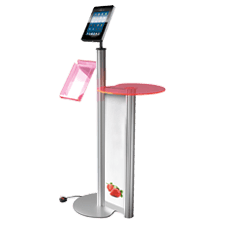 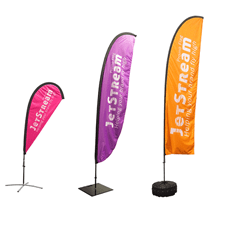 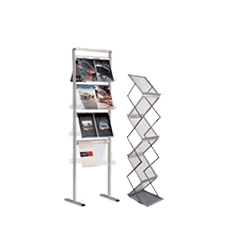 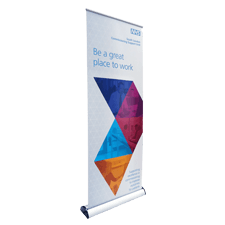 The Twist display system is a highly modular portable banner system designed for use at exhibitions, trade shows and other events. 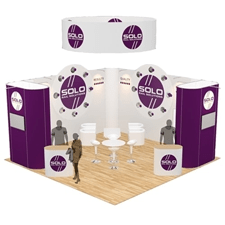 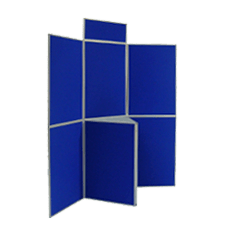 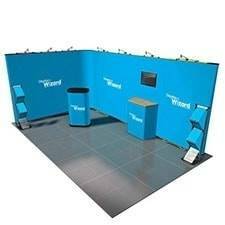 This U-shaped stand is designed for a 5m x 2m shell scheme with one open side but due to the unique design of Twist it can easily be altered to fit different size stands. 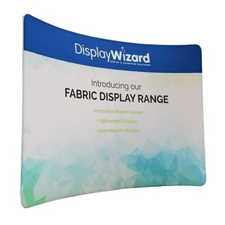 This system also comes with 8 x Twist transport bags for easy transportation and 8 x Twist spotlights for bright, even illumination across the display. 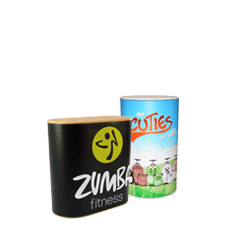 The Bases are available with a silver, black or white finish.